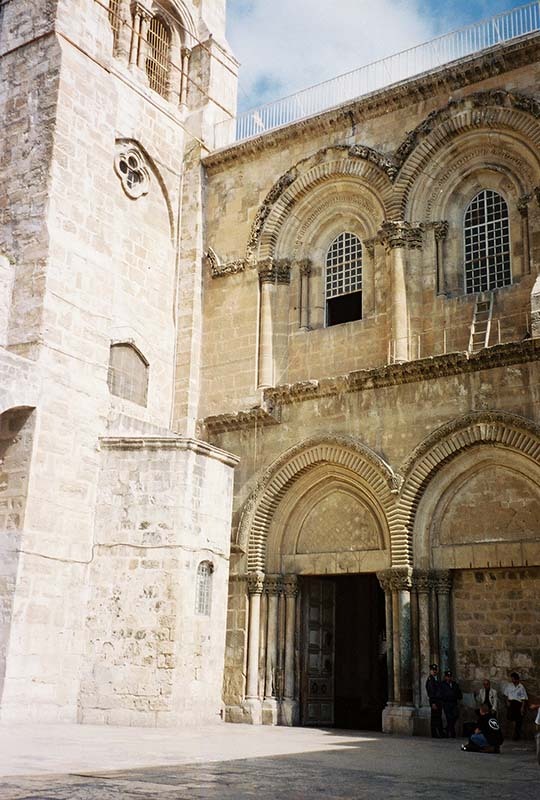 The Church of the Holy Sepulchre was built over this area called Golgotha. It is a huge building, with much to see and many places to pause and pray. 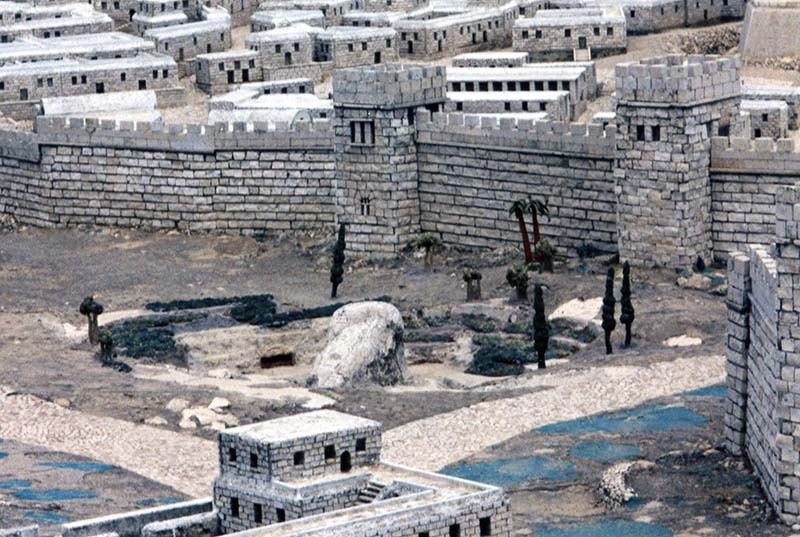 Inside, we’ll visit the Chapel of Golgotha built over the rock that secured the cross upon which Jesus was crucified, the sepulchre or tomb where many believe Jesus was buried, and the Chapel of Mary Magdalene, where the resurrected Christ possibly first appeared to her. Click on the doorway into the church in the photo below.